Chetan Bhagat New Book Launch: Indian Novelist and well know author/Scriptwriter Chetan Bhagat’s Next Book is launch today. Chetan’s latest book will be the first book penned by him as a female person. The Book will be launch today at 2:00 PM and will be on sale this Diwali on Amazon. Bhagat announced the news about the book launch officially through his facebook and Twitter account. Chetan Bhagat is known for this best seller books like Five Point Someone (2004), The 3 Mistakes of My Life (2008), 2 States (2009), Revolution 2020 (2011). This last book Half Girlfriend was a best seller and also being shot as a movie starring Arjun Kapoor and Shraddha Kapoor. Chetan Bhagat is known for this best seller books like Five Point Someone (2004), The 3 Mistakes of My Life (2008), 2 States (2009), Revolution 2020 (2011). This last book Half Girlfriend was a best seller and also being shot as a movie starring Arjun Kapoor and Shraddha Kapoor. 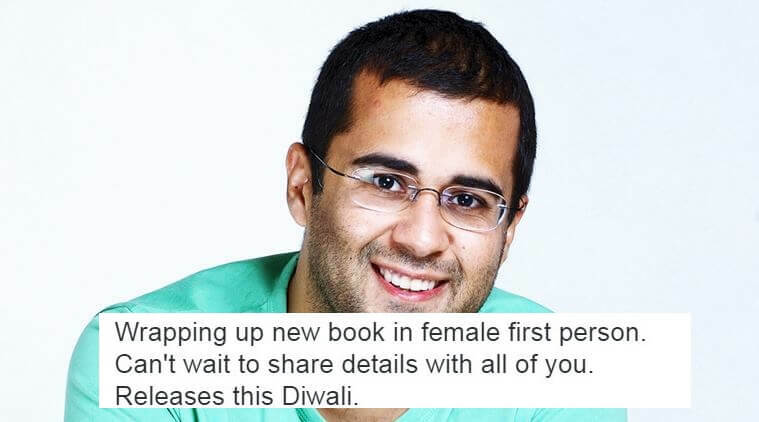 Chetan Bhagat has officially confirmed the news about this latest book/Novel launch with this tweet two days back. Excited to partner with India’s biggest bookstore on @amazonIN for my latest book. As per reports, the book will be available to buy only on Amazon India website. His previous book, Half Girlfriend was a bestseller in India and was launch officially in Flipkart. The book will be available to buy on Amazon starting from Diwali 2016. Although, there is two months difference in the release and launch date, the book is still creating buzz amount the youth of the nation. 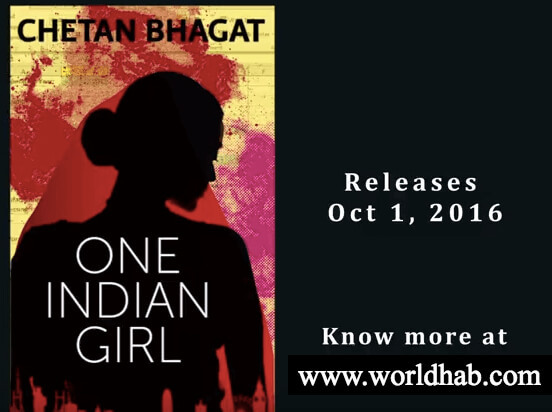 Chetan Bhagat has written this book as a female narrator/author for the first time this novel. Stay Tuned at WORLDHAB for more news updates.